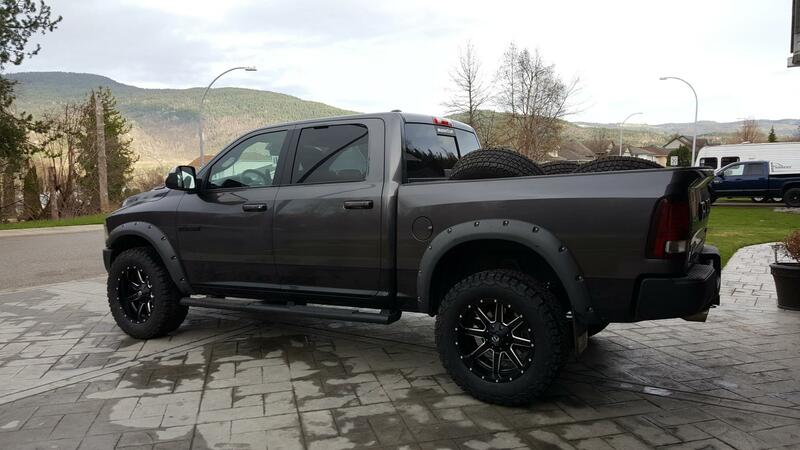 Ram Rebel Forum > 2015+ Ram Rebel Tech Section > Tires, Wheels, and Suspension > 35" help!!!! Ok. Time and time again people ask about 35" wheels and rubbing. Can't help with any specifics with the 35's and rubbing as I don't have 35's but I can tell you that anytime you start adding rotational mass (more wheel weight with bigger tires) it does created more wear and tear on drive train and suspension components. I had 35's on my 2014 Ram Express though and put around 35k miles on that set up and didn't notice anything out of the normal with the ball joints prematurely failing. Please feel free to message me with any questions, comments and concerns. I am running KO2's 35" on 20x10 Fuel Mavericks with -24 offset. I have lift links in place but still had rubbing on the inner trim so I zapped it back tonight and no rubbing at all now. Just installed today, so take it for what its worth at this point. From what I've read, 34.5" is the highest you can go without rubbing unless you do mods or lift. Can you give me information on this link mod? I'd really appreciate it. I would like my truck level. 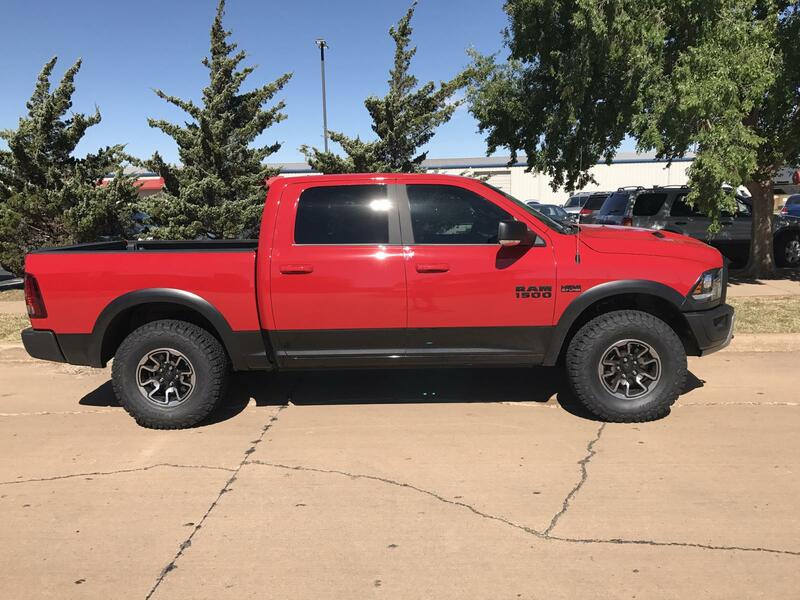 Should I install a leveling kit before doing link mod? Also does it matter if it's a 4wd or not. When you say lift links do you mean link mod? Trying to lift my truck with out spending 2300 on a lift kit or doing a body lift. I'm also wanting to level the truck before lifting. Any advice would be much appreciated. 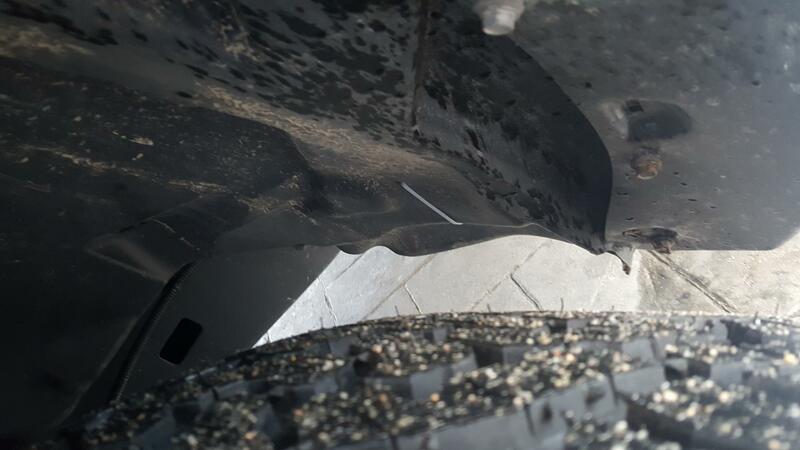 They had never done it before, but came to the conclusion that it was very simple to adjust airride via the computer without having to use aftermarket links. That being said, I just ordered Fuel Sledge's 20x9 +1 offset on 35x12.5 BFGoodrich KO2s. I need to get them on and drive to dealer so they can level out the truck. Is anyone running a similar wheel/tire package without and suspension mods? If so, is it rubbing? Did you already get this done at the dealer? I am very interested in this method of leveling/lifting this truck. I went in and they played around with the settings and said it could definitely be done. But they advised to come back once I had the new wheels so they could do the alignment at the same time. They are on back order (4-6 weeks) and I put in the order yesterday...so technically I have not done it yet bit they assured that it could be done. I found the info on a post on one of the Facebook groups. They had it done at a dealer and it worked out great for them. Those measurements might be a little to high as I just want to level the truck; not really looking for a lift but they will tweak it once I get to that point. Hoping to have it done 1st week of August.